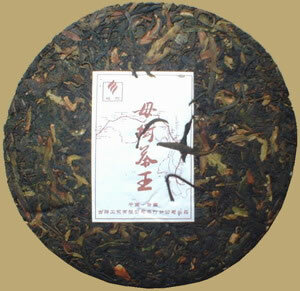 Great teas were harvested from wild tea trees. Lincang wild tea trees are more primitive than Pu-erh tea varieties, these trees possess all characteristics and components of tea trees. Guyi named this extremely rare green Pu-erh tea cake 'Mu Shu Cha Wang', means 'the king of wild tea trees', perfect for Pu-erh lover, collector or store display.